Free Delivery on orders of over £49.99, UK mainland standard delivery saving £5.99. Includes free standard delivery on orders over £49.99 within 3 to 5 business days, saving £5.99 off the standard delivery charge. 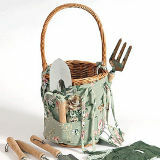 Gardens and homes Direct are a retailer for garden furniture and outdoor living. Their products span the whole range of outdoor garden requirements. At the top of this we feel the offering of conservatory furniture which would compliment any building or home. From smart greys to natural rattan there are choices for all tastes. What does particularly catch the eye is the spectacular looking poolside furniture. For those looking for more outdoor space there are many designs of outdoor buildings from humble sheds to larger structures that can be turned into outdoor studios of work spaces. If you enjoy watching wildlife then there’s plenty of choice from feeders to nesting boxes that can be fixed to a window to allow full relaxing viewing of the nesting birds. If you’re more of an indoor person then there are plenty of products to furnish any room in the home from rugs and ottomans to cooking utensils. The ottomans come in many colours with soft rugs to compliment. To cover a bare wall you could browse the large choice of wall decor such as wall clocks or wall art. The wall art includes lovely pieces with loving family messages and funny mottos. If you’re looking for an alternative gift well there are plenty of ideas that you may never have thought of. Pick up gifts for a geek in your family or any little budding chefs with a range of child’s cooking utensils. For putting the fun into family barbeques then why not buy him the full barbeque apron with pockets for beer to the ketchup and mustard bottles, lots of fun.